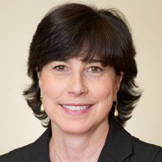 PHILADELPHIA, PA--(Marketwired - December 10, 2013) - Living Beyond Breast Cancer (LBBC) chief executive officer Jean A. Sachs, MSS, MLSP, announced today that Catherine Ormerod has been named Vice President of Programs and Partnerships for this Philadelphia-headquartered nonprofit. In her new position, Ormerod will lead the future direction and ongoing expansion of the organization's resources and programs for people impacted by breast cancer. She most recently served as the Director of National Programs and Relationships for Vision 2020 at the Institute for Women's Health and Leadership at Drexel University College of Medicine. "We're thrilled to have Cathy back at LBBC," stated Sachs, referencing the fact that Ormerod worked for the organization from 1999 to 2001 as its Director of Educational Programs. Sachs stated that highlights of Ormerod's numerous achievements during this time included the founding of a national conference for young women diagnosed with breast cancer, the expansion of outreach programs targeted to low-income African-American women and the development of LBBC's culturally-relevant publication We Celebrate Tomorrow: Latinas Living Beyond Breast Cancer. "Cathy's proven success in creating and sustaining vital educational programs and support services for targeted populations, and her talents as both a visionary and strategic planner, will serve LBBC well as we continue to expand both the content and reach of our services," Sachs concluded. "Over the past 22 years, LBBC has extended its reach nationally due to the respect for breast cancer survivors that infuses all of its high quality educational and supportive services," said Ormerod. "Breast cancer is a disease that has impacted many, too many, in my circle of family and friends, and I am passionate about bringing LBBC services to even more people to help them find their way through the maze of information and emotions attached to a breast cancer diagnosis. I am excited to join the talented and mission-driven board and staff responsible for LBBC's respected programs. I particularly look forward to working again with Jean, whose clear vision and deep understanding of the disease and its impact are responsible for Living Beyond Breast Cancer's growth and success."